NPs provide care that is at least as good as care provided by physicians. This attack is unacceptable. Click here to ask Eric & Bill and the Tribune publishers to apologize and make amends! 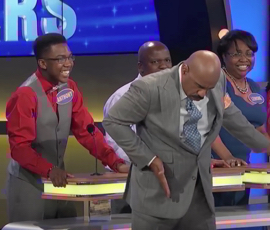 In survey questions, the highly-rated syndicated show Family Feud has urged the public to think of nurses as females who are mainly focused on the sexuality of physicians and male patients. The effect is to trivialize, if not encourage, the real sexual harassment of nurses. So please sign our petition to ask the show to stop using questions to suggest nurses are naughty and/or battle-axes. Suggest the show make amends by using questions to highlight nursing skill and expertise instead. Please add your own comments to it and ask all your colleagues, students, friends and family to sign. Thank you! ...read more...and Take Action! The New York Times reported that Netflix has committed to at least two seasons and 18 episodes of a television show on the "evolution [of Nurse Ratched] from a low-level nurse into the severe, manipulative tyrant who terrorizes mental institution patients in Ken Kesey's 1962 novel." We cannot see how this show could avoid damaging nursing. 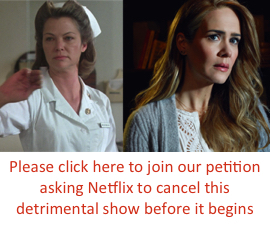 So please sign our petition to cancel the show before it starts production. Please add your own comments to it and ask all your colleagues, students, friends and family to sign. Thank you! But the BBC report about the "fancy dress" fundraising by Ludlow Hospital's League of Friends mostly highlights the views of people who think the League's tactics are just fine. And the League vows to do more of the same. September 19, 2017 - On August 22, the BBC website reported that a U.K. hospital had declined a £2,500 donation from a group of men who had raised the funds by pushing a bed around town while dressed as female nurses, complete with very short nurse dresses, wigs, and white caps. The unsigned BBC item was "Ludlow Hospital refuses 'demeaning' fancy dress donation." 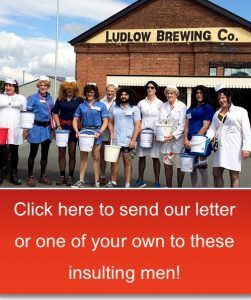 It briefly explained that Shropshire Community Health NHS Trust chief executive Jan Ditheridge had written to the head of the Ludlow Hospital League of Friends stating that "the presentation of men dressed as female nurses in a highly-sexualised and demeaning way is wrong, very outdated and insulting to the profession." But League of Friends chair Peter Corfield and his supporters pushed back strongly, arguing that they knew better what was insulting to nurses and in the best interests of the hospital. They vowed to continue doing the fundraiser. And the BBC item highlighted the views of people who agreed, including nurses. Sadly, the fundraiser reflects obvious contempt for nursing because it exploits the enduring "naughty nurse" stereotype that nurses are mainly about female sexuality, rather than advanced skills. Stereotypes like that have long undermined nurses' claims to the funding they need, which is much more than £2,500. ...read more...and Take Action! A Vox piece commendably highlights excessive emergency department charges. But the piece reflects the view that only physician "treatment" and expensive equipment have any value. Apparently, triage does not. And nurses don't even seem to exist. May 1, 2018 – Today Vox posted a piece by Sarah Kliff as part of an admirable project to highlight excessive emergency department (ED) fees. It's worth quoting the headline and subhead in full: "She didn't get treated at the ER. But she got a $5,751 bill anyway; Vox's emergency room database shows that patients can face steep bills even when they decline treatment." The author seems to think the only things that might merit a real charge would be a "diagnosis" or "treatment from a doctor," or perhaps some tangible health equipment with greater value. 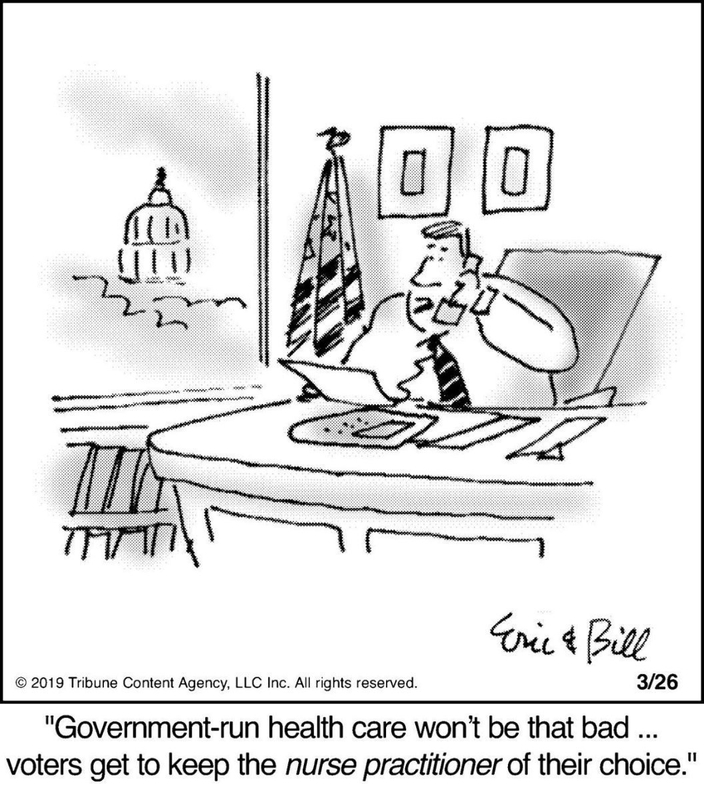 In fact, health care is primarily about skilled services that require many years of training, including nursing care...read more...and Take Action! 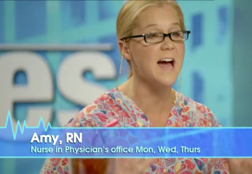 In 2014 Inside Amy Schumer aired a segment called The Nurses (a parody of The Doctors) that viciously reinforced most major anti-nurse stereotypes, including the ignorant physician handmaiden, the petty battle-axe, and the naughty nurse. Though we learned of this late, such an atrocious attack cannot go unaddressed, no matter when it was created. May 2018 – Recently we learned that a sketch on the May 20, 2014 episode of Inside Amy Schumer (Comedy Central) mounted an amazingly vicious and comprehensive attack on nursing. "The Nurses" was a loose parody of the syndicated daytime show The Doctors. 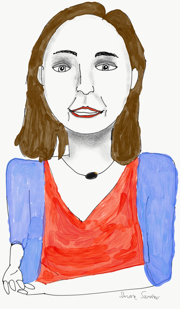 The segment presented four female "RN" characters as lazy; abusive; socially oblivious; bone-ignorant, yet oddly confident in their knowledge; resentful of physicians, yet prone to desperate efforts to attract them sexually; and last but not least, completely flummoxed by an actual health emergency. The three-and-a-half-minute segment was a tour de force of modern nurse stereotyping: Clad in patterned scrubs, these "nurses" embodied the unskilled physician handmaiden, the naughty nurse / physician gold-digger, the backwards female serf, and the petty, rule-bound battle-axe. 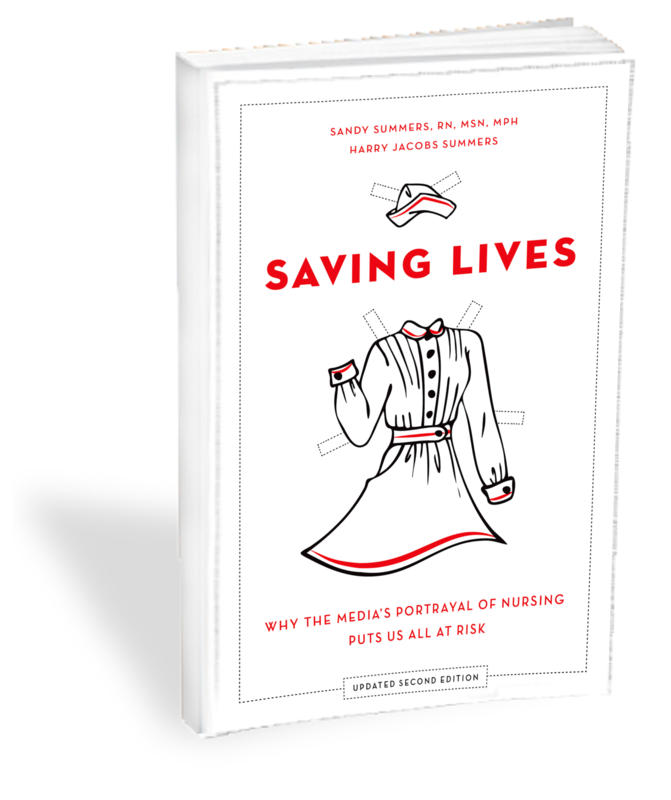 But the segment went further, targeting some positive traits of real nurses and suggesting that those are illusory and even harmful...read more...and Take Action! Also see our past campaigns; our success stories; action pages for Grey's Anatomy.